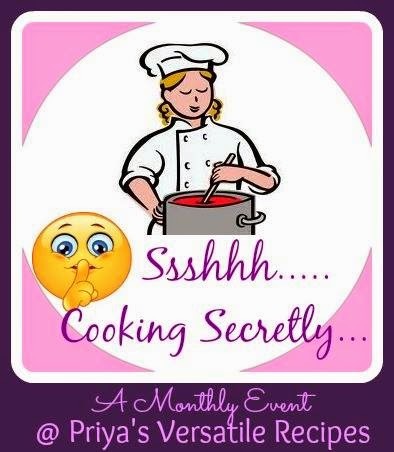 I recently joined group called "Shhh Cooking secret Ingredients" group was started by Priya of Priya's Versatile recipes . For this challenge members of group mutually share two ingredients and they have to cook with this secret ingredients.They shouldn't reveal those secret ingredients to any one in the group and post the recipe on 16 -18 of every month. This month my secret ingredients are spinach and onion given by Priya aka. 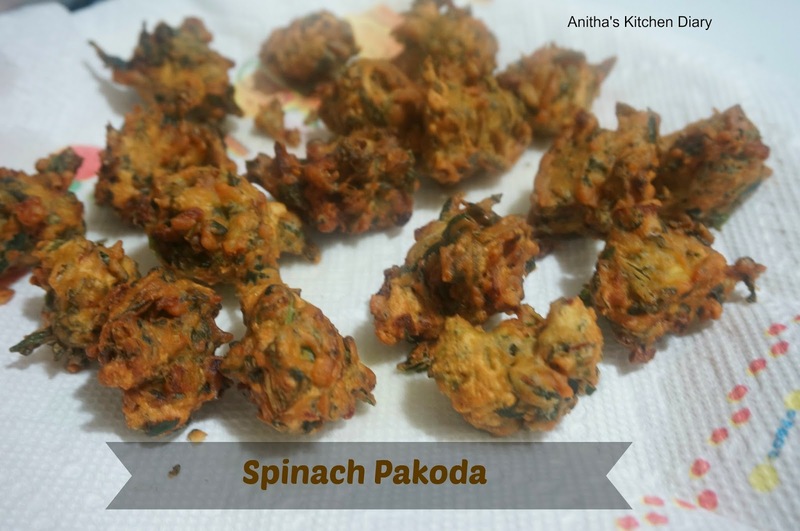 I want to try this spinach pakoda long before , when Priya aka gave me these ingredients i decided my mind to do this recipe. Easy and healthy Pakoda. Love to have these crispy pakodas with tea or coffee in a rainy day. Remove the steam ,wash and chop the spinach. In a bowl mix chopped onion , salt and 2 tsp of hot oil. Mix til the onion oozes water. Now add besan ,rice flour ,red chilli powder , coriander leaves ,spinach,ginger garlic paste and coriander leaves.Add required amount of salt and mix well. Don't add any water the spinach and onion will oozes water. Mean while heat oil for deep frying, when oil is hot drop roughly shaped balls into oil. Fry until turn golden brown.Remove from oil and drain the excess oil. 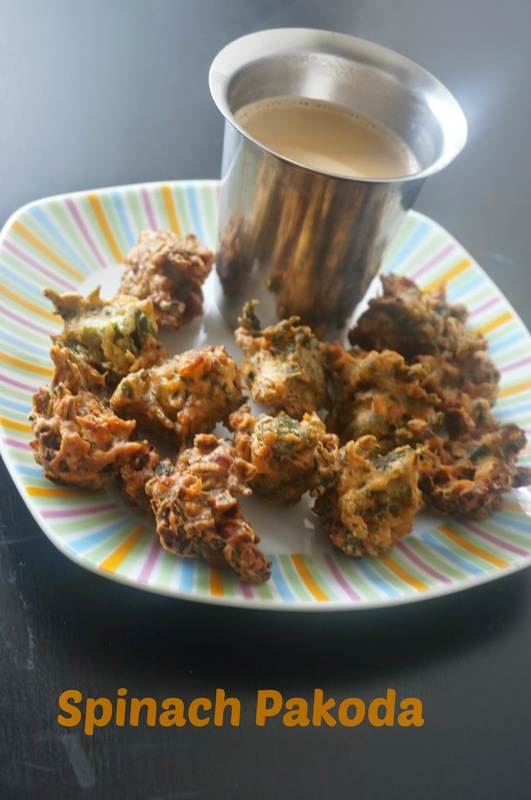 Serve this crispy pakoda with coffee or tea.